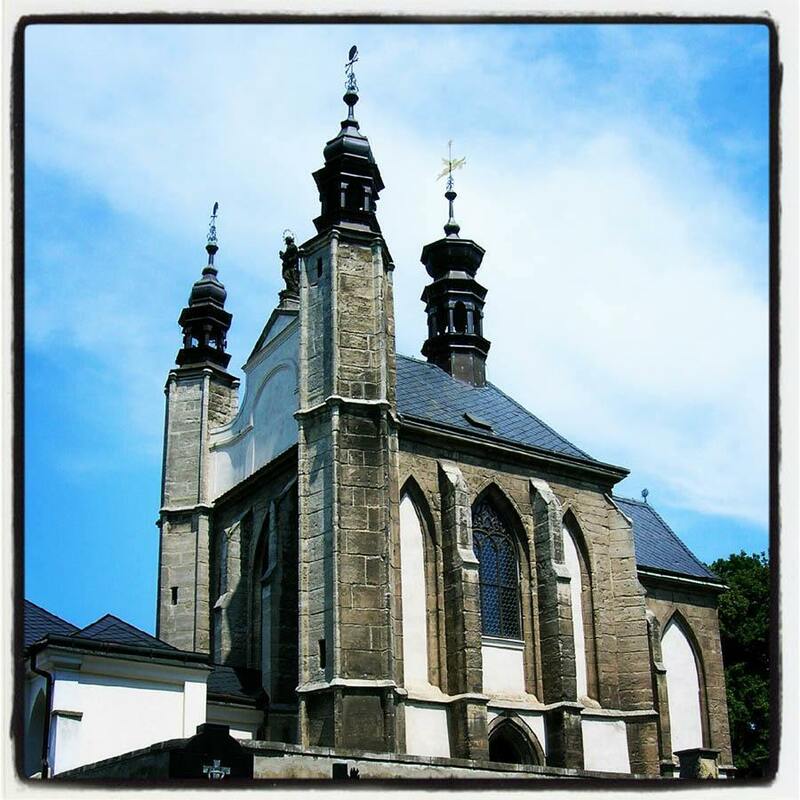 If you happen to venture into the Czech Republic’s small suburb of Sedlec, you may stumble upon the Cemetery Church of All Saints. 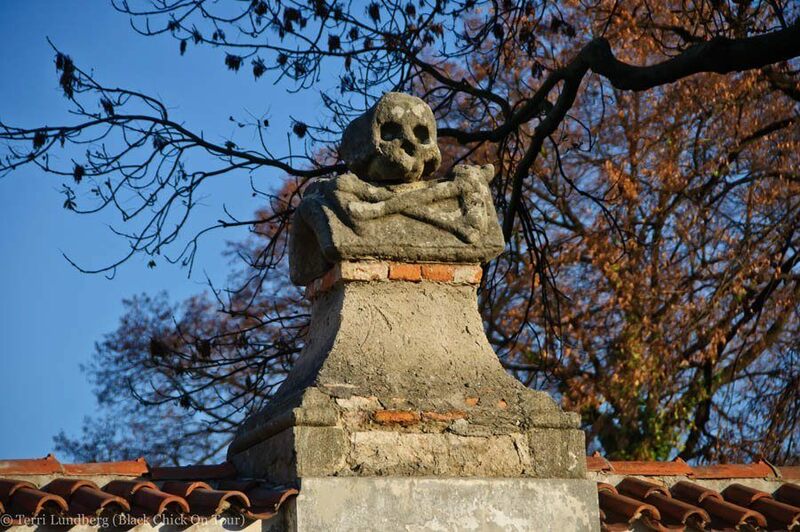 The structure itself looks fairly unassuming, but the outer walls contain some creepy indications of the ghastly findings you are about to encounter inside – actually, less so inside than underneath. 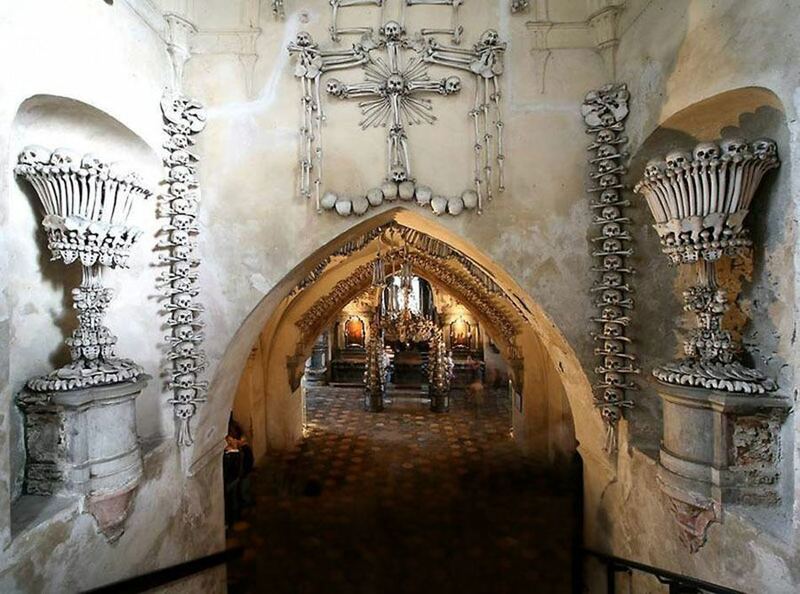 Tucked beneath the small Roman Catholic chapel is the Sedlec Ossuary, which is essentially an enormous mausoleum estimated to hold the remains of between 40,000 and 70,000 dead people. Charming, yes? 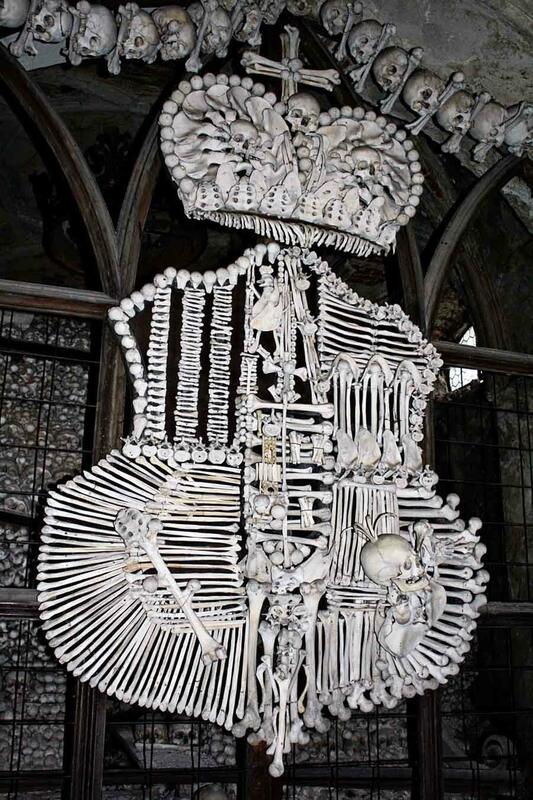 The vast majority of the deceased met their demise in the 14th and 15th centuries after obviously unsuccessful encounters with the black plague and the Hussite wars. 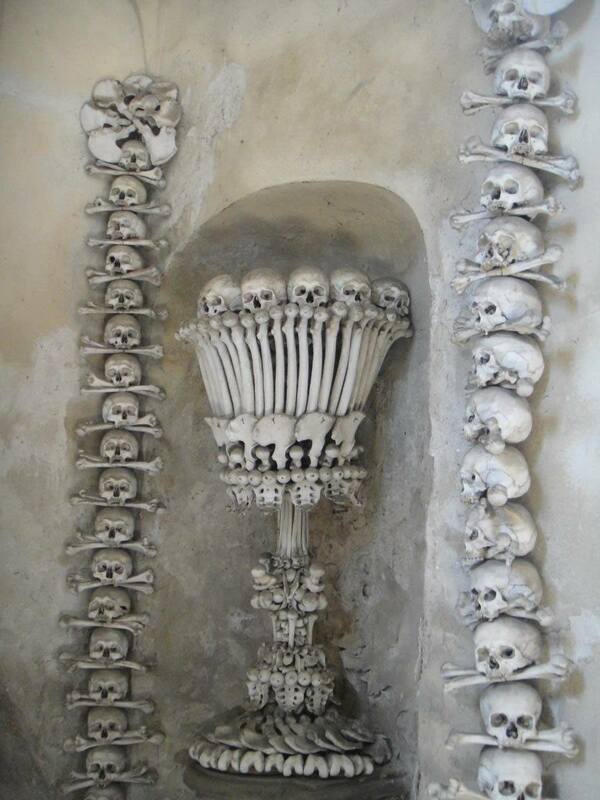 Just the thought of dealing with that many corpses is shudder-worthy on its own, but there’s more … many of the inhabitants’ remains have been used to build giant bone sculptures within the ossuary’s underground walls. Is this pragmatism at its finest? 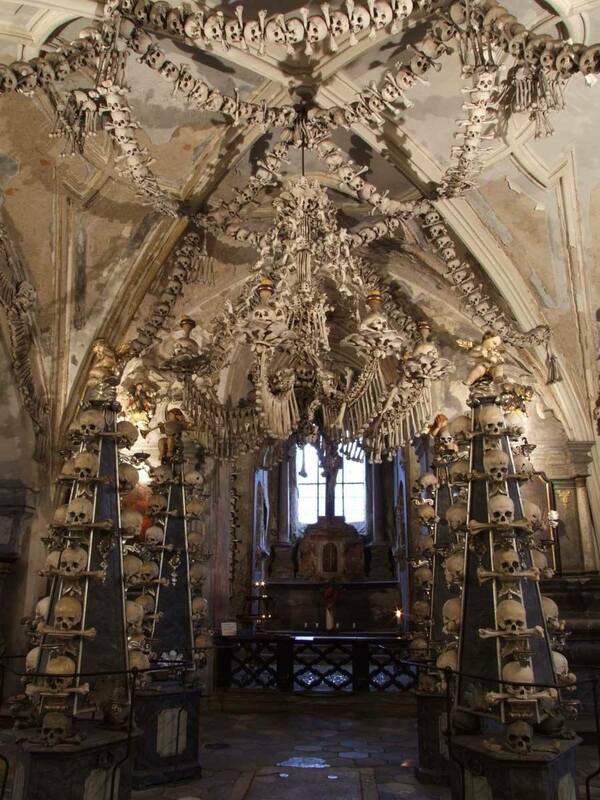 Receiving over 200,000 tourists a year, the Sedlec Ossuary is one of the Czech Republic’s most popular tourist attractions, reminding us of our obsession with the morbid and macabre. 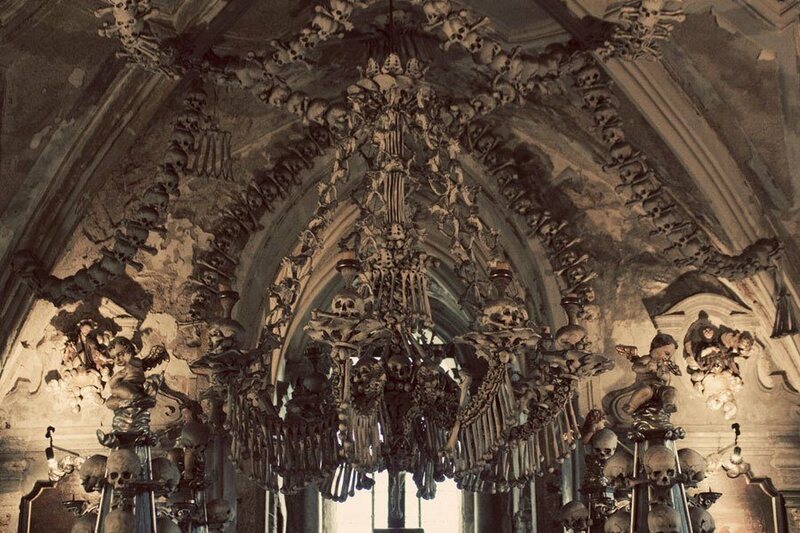 Around the year 1511, a half-blind monk was given the monumental task of stacking the bones within the chapel to conserve space. 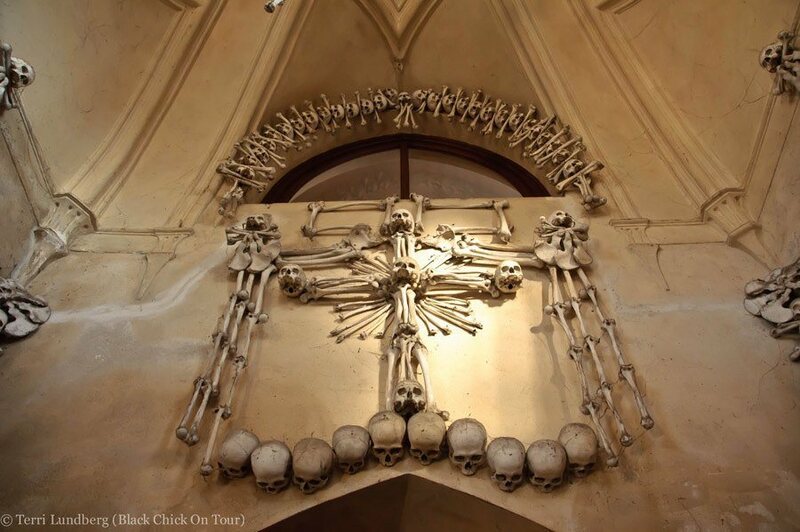 By 1870, the bones were being artistically arranged by a Czech woodcarver named Frantisek Rint. 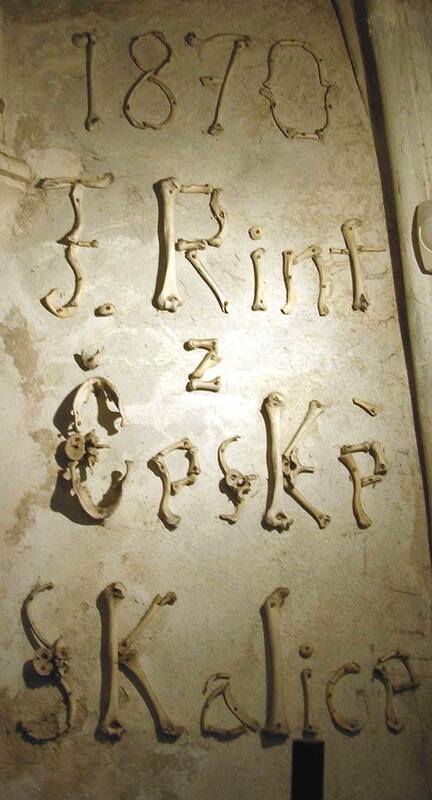 Rint was originally commissioned by the House of Schwarzenberg just to organize all the bones interred at the Sedlec Ossuary, but instead he set his sights on creating sculpted masterpieces to honor the dead, and a separate coat of arms to impress his new employers. 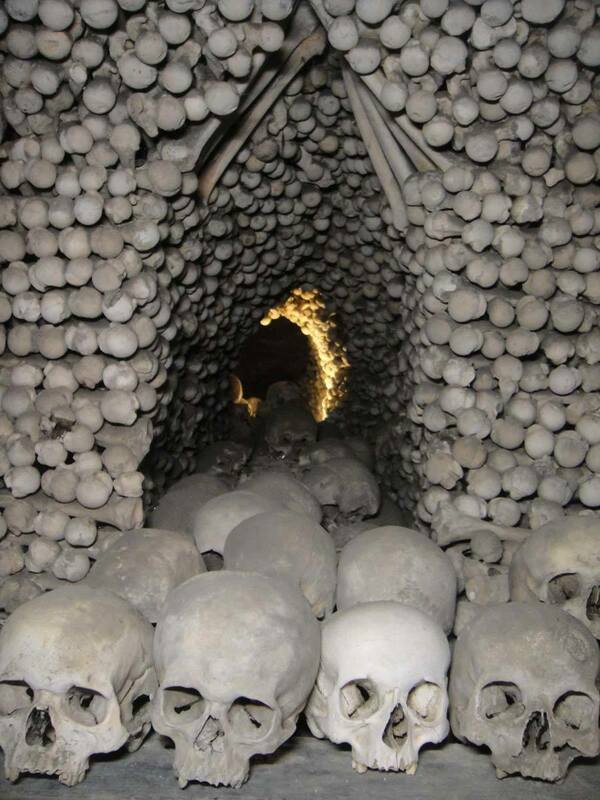 As you enter the ossuary, you are immediately greeted by a huge cross fashioned from skulls -and what resemble femurs – looming above the entry archway. Next to that are gigantic chalices, which serve as a stunning precursor to what is yet to come as you venture further through the centuries-old internment.